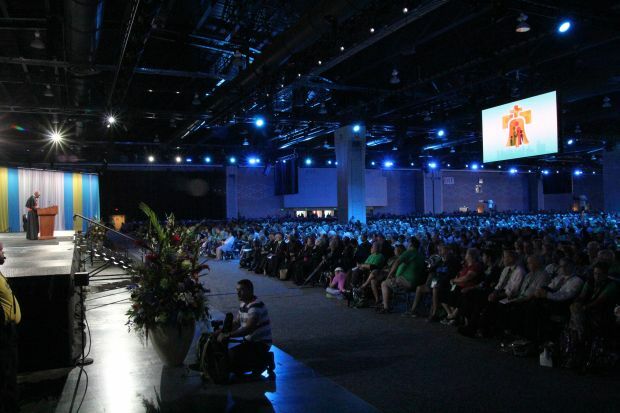 “The Light of the Family in a Dark World” was the topic for Cardinal Robert Sarah during his keynote address Wednesday morning, Sept. 23 at the World Meeting of Families in Philadelphia. Formerly the archbishop of Conakry in Guinea, Africa, and past president of his country’s conference of Catholic bishops, the cardinal is currently prefect of the Vatican’s Congregation for Divine Worship and the Discipline of the Sacraments. In his talk, the cardinal explained that the first symbol of God’s creative love is when he said, “let there be light,” because light encourages good and darkness encourages evil. Light brings order out of darkness, love out of chaos. The family, Cardinal Sarah said, is like the Trinity which is one in nature but with distinct persons: Father, Son and Holy Spirit. In this perfect unity we find the nature of God, which is love. Man was created for fellowship with God, and God made woman because God said, “it is not good for man to be alone.” This formed the first human family, each member equal in dignity and complementary in relationship. Each was called to make a gift of himself or herself for the other in imitation of God himself. The fall from grace, as told in the Book of Genesis, wants us to understand how darkness slowly seeped into the goodness of God’s creation. 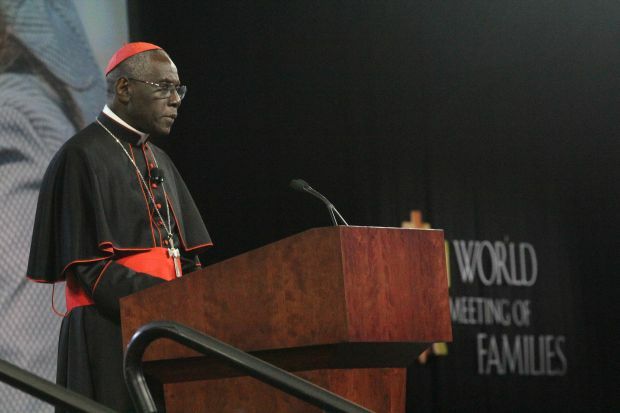 Cardinal Sarah explained how Adam and Eve broke the relationship with God by disobeying his command. “Sin generates death, not just physical death but death of being,” he said. “We are all capable of sin but God reached out in mercy to man and woman. The healing of the family was accomplished when God sent his Son into the world. 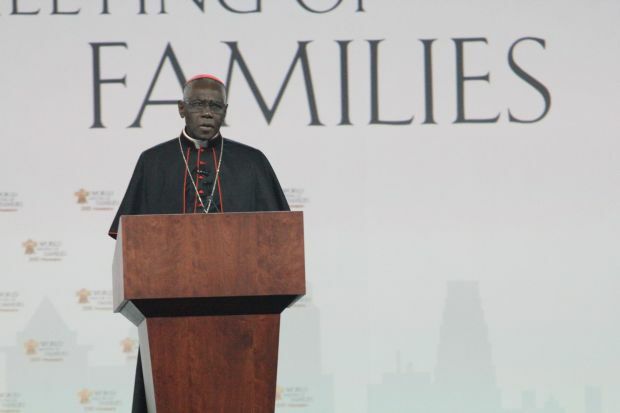 Together the Father and the Son send into our hearts the Holy Spirit, the giver of life, and God chose the family as the means to transmit God’s love, Cardinal Sarah explained.